People don’t pay a lot of attention to cost of ownership when it comes to deciding what kind of car to drive. If they did, more would buy electric. It seems cost of ownership also doesn’t figure into owning a car vs. using ride-hailing services, either. That was my conclusion after reading a couple of articles this week, which are re-posted on this site. First, I read of a new AAA study that found solely using ride-hailing services was not as cost-effective as owning a vehicle for the average urban-area driver. In fact, relying on ride-hailing as one’s only means of transportation would be more than twice as expensive as owning a car, “even when factoring in the expense of fuel, insurance, parking and the vehicle itself,” said AAA. Then I read about the results of a Cox Automotive study which found that alternative transportation services – including ride-hailing, subscription services, car-sharing and the like – are becoming more popular as alternatives to vehicle ownership. Note that 48 percent of respondents perceived the cost of owning or leasing a vehicle as becoming too high. But according to AAA, its more expensive to rely on alternative means! What that tells me is that perception is a lot more powerful than facts. 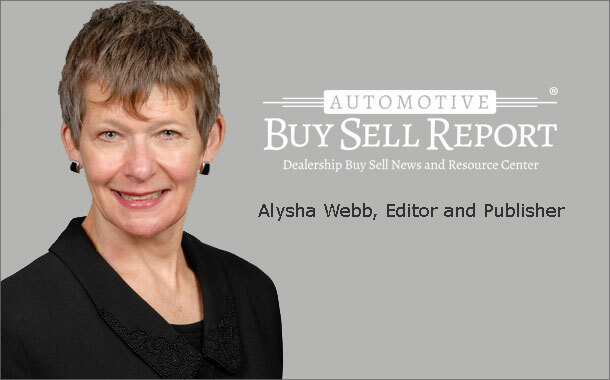 Dealerships need to be preparing for changes in the way people consume transportation. But they also need to be ready with some hard numbers on the cost of ownership vs. the cost of using alternatives, methinks. On to this week’s issue. Mark Topping of MD Johnson, Inc. appears for the first time in our publication with some excellent advice for dealership owners. 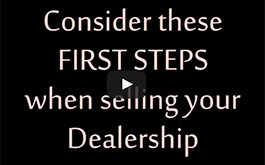 Even if you don’t plan to sell your dealership in the immediate future, Topping recommends you start gathering the various documents potential buyers need to see. Read his piece to find out why. Also this week, Rick White returns with more information on computer hacking and how dealerships can help prevent it. He’s an expert, always worth a read.